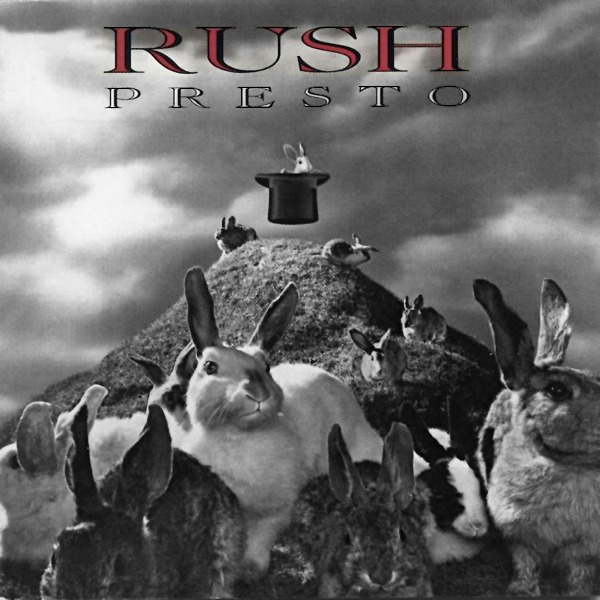 RUSH got the message loud and clear with the backlash of "Hold Your Fire" that enough was enough in their little synth based fairyland so they seriously scaled back on keyboards on their 13th studio album PRESTO and focused more on the power trio guitar, bass and drum sound that they were more famous for. The sound goes back to a less controversial time but the songwriting seems to have stayed in tune with the last few releases in that the tracks are short, somewhat poppy rock and fairly middle of the road in the energy delivering department. I could be the carbon-based life form who has listened to this the most. I happened to have this along on a major cross-country road trip with only a few other albums so this got more than its share of listening time one summer. This album does bring back fond memories of the endless desert highways of Nevada and Utah and the countless mountain ranges and valleys dotted by a smattering of small villages and lots of sage brush. However, after listening to this album a million times still doesn't make it a better album. It is definitely better than its predecessor but that wouldn't take a lot to be honest. I really love the first few songs including "Show Don't Tell," "Chain Lightning" and "The Pass." The next few songs up to and including "Superconductor" are OK and have some parts that are interesting but I always find myself taking creative control while listening to this album thinking that they should do that, change this, take that out. Everything after "Superconductor" is boring filler. This album is the perfect example of a 3 star album. Good for a few songs and nothing more.